I started binging on these episodes tonight. The series has good production value and is pretty entertaining - sort of falls somewhere between Louie and Portlandia. It's cool to see something like this made for the web that feels "real" and successful. It's more like a short-form professional TV show than something cobbled together for internet consumption, and is chock-full of great unknown actors. Check it out. It doesn't matter whether you're a toker or a teetotaler--High Maintenance, a web series that takes the politics out of pot, is sure to get a giggle out of you. The show follows the adventures of a weed dealer making housecalls around Brooklyn, to the most hilariously spot-on Brooklyn archetypes you'll find on the web. A new cycle of episodes premieres this Saturday, which is better known to puffers, stoners and dopers as 4/20. "Weed is such a pervasive part of the culture that we personally live in here in Brooklyn, as well as what we experienced living in L.A," says Ben Sinclair, who created the web series with his wife Katja Blichfeld. "Frankly, we were just kind of bored by the way it’s usually portrayed in film and television and wanted to try our hand at normalizing it." The duo asked their friend Russell Gregory to act as executive producer for the series, which started filming in summer 2011. As an actor (Sinclair), casting director (Blichfeld) and talent manager (Gregory) in their everyday lives, the trio taps into their skilled network of friends in the film industry. Look closely at any of the episodes of High Maintenance online, and you might recognize your own neighborhood in the background--it's shot around Brooklyn starring Sinclair as its protagonist, a pot dealer conducting his business via bicycle. "We’ve been shooting in our own living spaces as well as the apartments of our friends," Sinclair says. "So far, it’s mostly been in Brooklyn with very few exceptions. We shot Jamie and Trixie in two different Bushwick lofts; Heidi at our production manager’s apartment in Williamsburg; Olivia we shot in our own apartment in Ditmas Park and also shot a couple of scenes at Sycamore." Don't be surprised if you recognize elements of yourself (or someone you know) in characters from the first seven episodes: a couple who conjure courage from some cannabis to deal with a mouse caught in a glue trap; two hipsters trying to dope-and-dash their dealer; an adult son living with his mother whose love of Helen Hunt is only slightly less disturbing than his weed habit, and a harried personal assistant with multiple cell phones and a crazy boss have all made appearances. You only have a few days to get caught up on the first two cycles before the third premieres on Saturday, but fear not, at 5-12 minutes each, they're easily digestible in under an hour (though you'll probably wind up watching them more than once). Grab some munchies and make a marathon of it if you're so inclined. Vimeo is the latest video streaming service to get into original content, today announcing that it's ordered six episodes of the short comedy High Maintenance to debut later this year. The show already has 13 episodes that were released independently last year on Vimeo, each running anywhere from around 5 to 15 minutes long. If the name didn't tip you off, the show is centered on a weed dealer, played by Ben Sinclair. Unlike Hulu, however, it's likely that you won't just be able to show up to Vimeo and start streaming the new series. High Maintenance will live on Vimeo On Demand, Vimeo's movie rental and sales service. Though pricing is yet to be determined, it seems as though it'll cost something to watch, otherwise it'd just debut on Vimeo proper, where there's no pay wall. This is just the beginning for Vimeo's original content too: it's set aside $10 million to use for licensing content for Vimeo On Demand. Paying per episode is a far different business model than what most streaming services jumping into the original content game are using — Amazon and Netflix, most notably, both require subscriptions — so Vimeo's initiative may pan out quite differently. 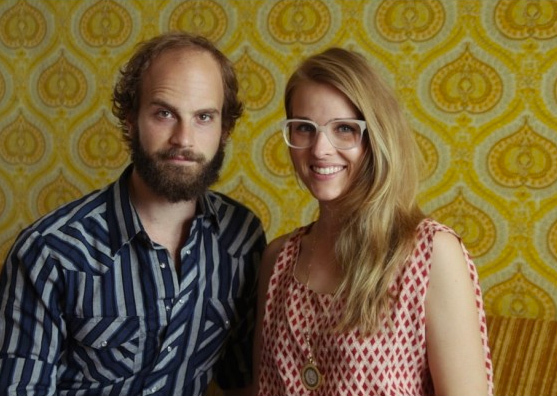 Vimeo’s web comedy series High Maintenance is crossing over to TV with a six-episode order by HBO. Additionally, the premium cable network will make the existing 19 episodes of the show available later this year on HBO, HBO NOW and HBO GO. Following a Brooklyn pot dealer who delivers to clients with neuroses as diverse as the city, High Maintenance is created and written by the married duo of Katja Blichfeld (30 Rock) and Ben Sinclair (Sisters), and executive produced by Blichfeld, Sinclair and Russell Gregory. The announcement was made on April 20, known as National Weed Day. High Maintenance stars Sinclair as “The Guy,” a friendly pot dealer whose clients include an eccentric group of characters, revealing the dynamics of their lives. From the unexpected and offbeat to the predictable and mundane, the witty series provides a glimpse into the daily routines of the customers and how they light things up. HBO previously had another comedy series that dealt extensively with weed, Jonathan Ames’ Bored To Death. In its rare move from online to premium cable, High Maintenance joins Showtime comedy Web Therapy. “The pickup by HBO is incredible validation for the show as well as the global creative community developing and releasing innovative programming directly on Vimeo,” the company’s CEO Kerry Trainor said. “We have been growing this show organically for three years now, and we are elated to bring it into full maturity at HBO,” said Blichfeld and Sinclair. I love this show! The stories in this show are so great, you never really know what is gonna happen, and almost every time you are surprised. the characters and especially the "guy" (the main character) is brilliant. Thanks for posting some episodes.. I really like this show..their story and characters! I didn't realize this was so popular in the Phillipines! Or that Dawn and Patty were Filipino names. Interesting. Alright you guys, time to shut it down, sorry. I'll unban you if you tell me who you work for. Who do you work for?! ?